There is "broad public support" for having nuclear weapons among South Koreans, but the country's ruling elite is less keen, Dr. Ralph Cossa of the Center for Strategic and International Studies told Radio Sputnik. North Korea has carried out a total of five nuclear tests, most recently in September 2016. Last week, South Korea's Defense Ministry said that Pyongyang will likely conduct a sixth nuclear test and another intercontinental ballistic missile (ICBM) test launch, in the wake of two controversial launches in July. "There is a possibility that North Korea is likely to test its nuclear warhead and missile capabilities through a nuclear test with more explosive power," the Ministry of National Defense warned at an emergency meeting of the National Assembly’s Defense Committee, adding that Pyongyang could carry out such a test at its Punggye-ri nuclear test site at any time. The Ministry made the assessment following Pyongyang's claim that it had successfully launched another ICBM on July 28, following its similar test in early July. 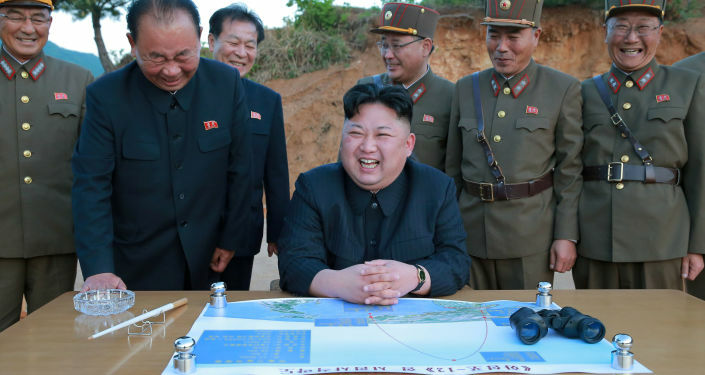 Pyongyang insisted that the entirety of the US mainland is within its striking range, according to Yonhap News Agency. According to a poll of the country's residents conducted last month, over half of the population supports the idea that the country should possess nuclear weapons. A lawmaker from the Liberty Korea Party, Yoon Young-seok, explained that South Koreans want to see a better balance of power between the South and the North. Dr. Ralph Cossa, President of the Pacific Forum at the Center for Strategic and International Studies, a think tank, told Radio Sputnik that there has been broad public support for developing nuclear weapons for years and that public opinion on the issue "reflects a frustration on the part of South Korea." While South Koreans "have great faith in the alliance [with the US]" and believe that the US would respond if North Korea attacked the South, they are still unhappy that the North has the upper hand militarily. "There is a great deal of frustration that the North Koreans have nuclear weapons and we don't, that the North can try to blackmail us with their nuclear capability and we may need to respond. So, even though they have faith in the US extended deterrents, they still desire to have their own nuclear [deterrents]." "[South Koreans want nuclear weapons] also to pressure the Chinese. They believe that this might get the Chinese to be more forthcoming in pressuring North Korea." Although public support is strong, the country's ruling elite is less keen on getting nuclear weapons. "Within the general population, it's somewhere between 70-75 percent that support it. Within the ruling elite, within the security community, it's much lower. They believe that it would cause as many problems as it would solve. There are a number of them that also would prefer to have the US re-introduce nuclear weapons into South Korea rather than have their own and that's also a contentious issue." Given the lack of support among politicians, Cossa thinks it unlikely that South Korea will actually develop its own nuclear weapons. However, if it did, the North would use it as an excuse to further develop its own program, he warned. "I think the North would say that this justifies their problem, so it would give the North even more incentive to expand their nuclear program, not that they need it, but they would certainly exploit it. And, I think it would create a certain degree of instability." "There would also be concerns within the US, that somehow or other this reflects a lack of faith in the alliance and could cause some people to believe that the alliance is no longer necessary, that the South has its own nuclear capability." If South Korea were to get nuclear weapons, it could lead to more US allies in Asia developing a nuclear arsenal. "If the South Koreans were to go nuclear and they developed nuclear weapons, it would put a great deal of pressure on Japan to follow suit. If the US were to quietly agree to the South Koreans having nuclear weapons, then I think that countries like Taiwan would perhaps also feel the urge to go in that direction. So, you would really see this would undercut the nuclear non-proliferation regime in significant ways."